Accademy Manusardi - Italian Canne (roots in french canne de combat). 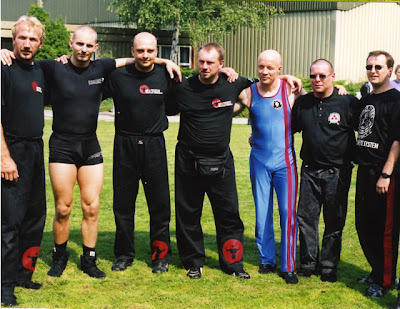 Jean-Marie Rousseau, first president of FISav (1985-1989) is working to establish Savate in China. He sends good wishes for the chinese new year of the Tiger, with a card especially designed for SaiFaDou (Savate in chinese) and a card he has prepared for friends. On 15th January, the first Iranian Savate championships for women were held in Tehran. More than 220 athletes took part in senior, junior, cadet and children's categories. In Iran, many women are interested in Savate and the decision of the FISAV Board of Directors to allow the hijab in competition has further increased their enthusiasm. These championships formed part of the Iranian Savate Association's preparation for the Asian and World championships in 2010. For Slovenia and Croatia and maybe also other Balcan countries I am sure that active from this list surely means - NOT DEAD. I didn't hear for any national championship of Wu-shu in Slovenia and Croatia in all these years. And I am informed very well. In Slovenia there are only Tai-chi recreational courses, but in Croatia there is no Wu shu federation in Croatian olympic Committee. 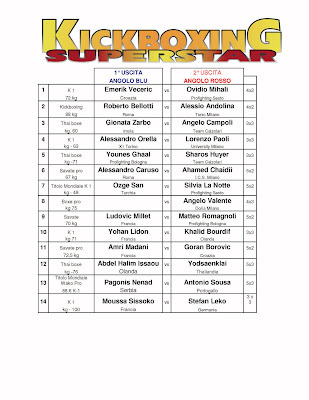 And there are many competitors who want to compete in Sanda. Beleive me. As requested by Congress you will find the update list from the “Active members”. This are the members that fulfill the conditions in accordance with the EWuF constitution and participate in all events of the EWuF. Kim Gibson a taolu athlete from Norway has received the highest sports award in Norway for recognition of sporting achievement in wushu. The Norwegian Olympic Committee has a special sports award “The Trophy of His Majesty the King of Norway”. Only certain sports are selected to receive this award and wushu has been included. The recipient is selected from Norwegian national champions. In fact this trophy means so much for Norwegian athletes that many of their world champions in Alpine skiing, Cross country skiing, javelin throwing etc rank the King's Trophy higher than their World and Olympic titles! Kim pointed out that “It's hard to explain how much it means to a none Norwegian, it is very special to us. This is so huge for me, but also huge for Wushu in Norway, that the King's trophy has chosen Wushu to be a worthy sport to award this magnificent and rare trophy”. The cup itself is made of 83% pure silver, with a unique design that has been the same since the first King's trophy was made 126 years ago, in 1883. The awarding committee jury consider all the Norwegian wushu champions as to who deserves it most. Apparently the jury had a long discussion as there were many good contestants and after a vote the decision went to Kim and he was elected the winner. Message from the EWuF President. CONGRATULATION to Kim Gibson and to wushu in Norway. Achievements like this are a clear sign that wushu is truly developing in the European and World sports arena. It is a great success that wushu has risen to the position of being included in the Kings Trophy, "Kongepokalen". This award is good for all of us and we should feel very proud of the Wushu section of the Norwegian Martial Arts Federation for his great achievement. Well done Kim on being awarded this prestigious trophy and your most excellent personal success. I hope that Kim’s example will encourage many more young athletes to dedicate their time and effort to serious training. But there is no Wu-shu federation in Montenegro olympic Committee. There is only Budo federation. And these things are not the same. (China, Japan, USA all the same budo). “On December 9th, 2009 the Wushu federation of republic Montenegro celebrated her 10th anniversary in Hotel Premier in Podgorica, Montenegro. The best trainers and competitors were awarded for their achievements in the IWuF competitions. Mr. Darko Djurovic was honored for his good performance and representation for his country in the international Wushu sport landscape. This celebration was attend by members of the Olympic Committee of Montenegro and San Marino (Mrs. D. Polovic), honored guests from the Chinese Embassy and the Sponsors and enthusiasts of wushu. 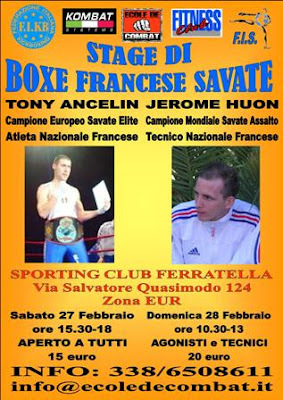 When was the last seminar of Boxe Francaise in Europe, that was attended from more than 2 Europe savate federation. No needs for cooperation and community? No savate ties? Weird. SPORTING CLUB FERRATELLA, Rome, Italy - 27th and 28th February 2010. Will they organise some of the next Olympic winter games? 2 milion people living in Slovenia (one of ex-Yugoslav republics). But they sent nearly 100 people to Winter Olympic Games during the strongest recesion in Europe and in Slovenia. Smiling faces of BIG sport family - they are all part of Parliament party - Social democrats (ex - comunists) - minister of sport Igor Luksic, president of Olympic Comittee Slovenia (skiing) Janez Kocjancic and his wife - ex Rector of the biggest University in Slovenia - University of Ljubljana (the capital of Slovenia) and director of Sport directorate Marko Rajster. Janez Kocjancic was very strong opponent and important figure when there were tendencies to recognise student sport in Slovenia during Mediteranien games 2009 and at the same time very succesfull Summer universiade in Belgrade 2009. And his wife on University of Ljubljana as a rector and a president of Ljubljana university sport federation followed the same story. When they started to build new Alpine center "as they said for FISU Winter Universiade 2013 in Maribor" their opinion suddenly changed. Yes student sport is the right way. 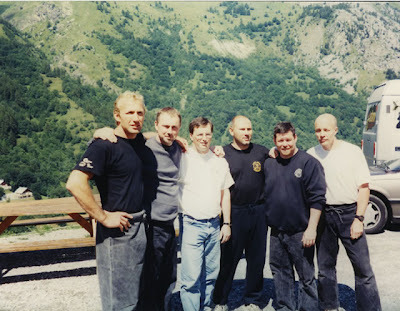 Maybe Vigo FISU forum will change some things also in Slovenia but till then you can enjoy in a perfect isolation of Slovenian Alpine culture connected with sausages, chordians, yodeling, skiing, small busines relations and crying about good old times. But some figures as you see from the pictures doesn't look as a typical yodeling masters, don't they? As you see - it is not your vote that counts. Size doesn't matter. It is the matter of technique and illusion. 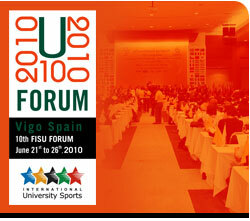 The 2010 FISU Forum, which will be hosted in Vigo, Spain, is heading for a success with four months to go before kick-off of the FISU event. No less than 63 FISU Member Associations from the five continents have submitted a preliminary registration form, which means the highest number of participation in the Forum’s history since its inaugural edition in 1992 in Paralimni, Cyprus. The 10th edition of the Forum which will take place from June 21st to 26th, will have ‘University Sport: a Platform for Change’ as its main theme. Bulletin N°2 of the Forum. Apaches de Paname "Du Ramdam chez les titis 2010"
Will canne de combat become the first "official" and recognised stick fighting in GAISF - SportAccord body? Can you imagine what this means? The only and the first one? And maybe even the best stick fighting with the best competition rules? 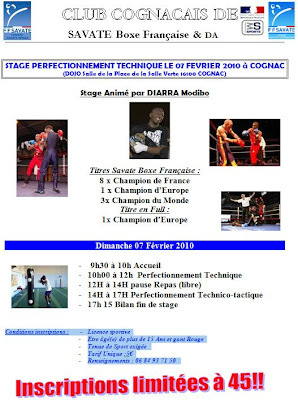 Will be this discipline of savate the main promotor of boxe francaise in the sea of many martial arts and combat sports? Now I understand artficial savate federations which don't want to compete in canne de combat. Tahiti - a cocaine heaven distributors center is a place where a tragic loss happend of president Tran Trieu Quan. He was a president of one of three ITF taekwondo international federation (with the same name) in the year when all three promissed to join AGFIS and start process of reuninification. It is with great sadness that the ITF inform you all of the tragic death of our President Grand Master TrânTriêu Quân, 9th Degree Black Belt, following the recent earthquake in Haiti. We have just received information from the Trân family regarding the discovery of Grand Master Trân from the rubble of the Hotel Montana in Port-au-Prince, Haiti. His body was found under several tons of debris. His death was confirmed by an official of the Embassy of Canada in Haiti. His identity was confirmed by the Disaster Victim Identification assessment team working in Haiti with the Consular Affairs Bureau of Foreign Affairs Canada. His body will be repatriated to Canada on Sunday, February 14. Our thoughts go to the Trân family. We wish to extend our most sincere condolences to them. All Taekwon-Do practitioners from around the world are kindly invited to write memories of Grand Master Trân or words of sympathy to the Trân family on the following ITF web page: http://www.itfnz.org.nz/commemorative/grand-master-tran-condolence.html. 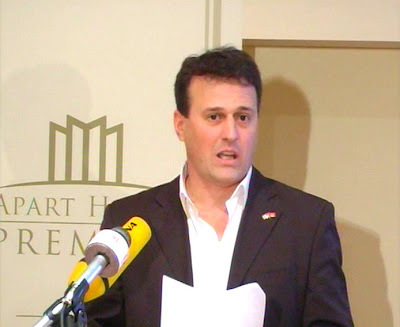 Grand Master Trân was President of the ITF since 2003. He had been re-elected to serve for a second term in 2007. The ITF Board stands united with you in your sympathies for our beloved President and his family. We believe the bond and friendships between all our nations will be forever strengthened and remain strong. käˈlē, city (1993 pop. 1,641,498), capital of Valle del Cauca dept., W Colombia, on the Cali River. It is an industrial and commercial center of the upper Cauca valley. Coffee, cotton, sugarcane, and soybeans are shipped through the city; and tires, tobacco products, textiles, paper, chemicals, and building materials are manufactured. Cali is also a tourist center. The city was founded in 1536, but its growth is relatively recent, with the population more than doubling in the 1950s. In the city are two universities and the headquarters of the Cauca valley development project, which is modeled after the Tennessee Valley Authority. The Cauca River has been drained for irrigation, hydroelectric power, and flood prevention. Cali's landmarks include an aqueduct and a cathedral. In the late 1980s and early 90s the city gained notoriety for the cocaine "cartel" based there. Yes very nice place to feel very sporty these days. Latin America continues to gain prominence in the world of sports and it shows it more each year with a bigger amount of first class events held throughout and across the subcontinent. Colombia wants to continue investing in sports and in 2010 organized the South American Games in Medellin, but the bet spread recently when Santiago de Cali was officially nominated host of The World Games 2013. Originally, the German cities of Duisburg and Dusseldorf were organizing the ninth edition, but parliament refused the budget for the games due to economic crisis in the region. Immediately the International World Games Association (IWGA), chaired by Ron Froehlich German, came to finding a replacement for the 2013 edition and there appeared Santiago de Cali (Colombia) and Johannesburg (South Africa) in another clear demonstration of african growth . The South African city based his candidacy on infrastructure and development that will leave the World Cup next year but it was not enough. During the last World Games made with great success in Kaohsiung (Chinese Taipei), the IWGA signed the letter of intent with the Mayor of Santiago de Cali to host the 2013 World Games for the first time in South America. The final contract will be signed in September. Cali hosted numerous international sporting events and has an extraordinary experience that promises to dump it to organize the best games ever, hard work after seeing what Taiwan showed in Kaohsiung wich dazzled the world for ten days. The Games in the capital of Valle del Cauca will be contesting from July 25th to Agust 5th 2013 and is expecting more than 5.000 athletes from 120 nations in nearly forty sports discipline where skating is the big star of the games as one of the most popular sports in the country. It could also be the farewell to the discipline of the games if we joined the Olympic family in Agust 13. The Skating rink used in the World Cup 2007 would be the scene for our discipline to the World Games 2013 and would suffer major renovations to adapt it to an international stature event. Pascual Guerrero will lead the Organizing Committee of Cali 2013.But there will also be a familiar face to the rink given that the General Coordinator will be Jose Luis Echeverry, who led the organization of the ICC World Cup Speed Skating in 2007. With this Games we look foward to modernize the city and it will worked under the slogan ¨ World Games for a clean Planet! "So it would bear in mind the ecology, environment and new technologies. Mohamed - Come back home to savate, where you can use chasse bas to stop barefoot intruders with agressive hand techniques. Jogo do Pau against Multiple Attackers, one of its beauties it's that it really works. For me, as a Martial Artist it never ceases to amaze me the tactical and alive flow of movement in a Multiple Oponents scenery, you stop, you're death in a figure of speech, but very true statement. Stick Fighting, from Battle Swordsmanship deals exactly with this against odds. That's why I love Jogo do Pau, it's still Alive. 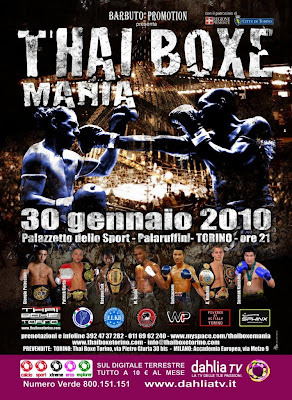 Why is it necessary in Italy for kickboxers to show that they do savate? They even put their judges WAKO kickboxing shirts with this CLEAR MESSAGE. Was it 3 seconds? Forward and backward moving. Slovenia didn't succed in any of 13 martial arts for the 2010 Combat games in Beijing. Slovenia didn't succed in any of 4 olympic combat sports for 2010 Youth Olympic Games. Where the hell is Slovenia. And Slovenians who are they? Also GB people were there. Nice. Apaches World Tour Summer Camp 2009 - Budapest. Andrea Ferraro from Fight Gym Club of Lugano, Switzerland. France 3 TV Bretagne 06/02/2010 video.